After previously announcing Pedro Almodóvar as the president of its 2017 jury and letting Jessica Chastain’s name slip out, the Cannes Film Festival has filled in the rest of the roster, which includes actress Fan Binbing, directors Paolo Sorrentino, Maren Ade, Agnès Jaoui, and Park Chan-wook, and composer Gabriel Yared. There’s also a particularly surprising name among the jury’s ranks: Will Smith. While the jury is otherwise full of Cannes veterans—Almodóvar won the festival’s best director prize in 1999 and best screenplay in 2006; Park won the Grand Prix in 2004 and the Jury Prix in 2009—Smith has never had a movie play at Cannes. That may not be unprecedented, but it’s at least unusual, since the Cannes festival typically likes to keep to its own, especially when it comes to determining its biggest awards. The closest Smith has come to the Croisette was in 2004, when he, Angelina Jolie, and Jack Black rode a 14-foot inflatable shark through the waters of the Mediterranean to promote DreamWorks’ Animation’s forthcoming Shark Tale. (The movie premiered later that year at the Venice Film Festival.) Here they are. Smith did pay a visit to Cannes last year, but it was for the Cannes Lions, the international advertising festival that takes place in June. 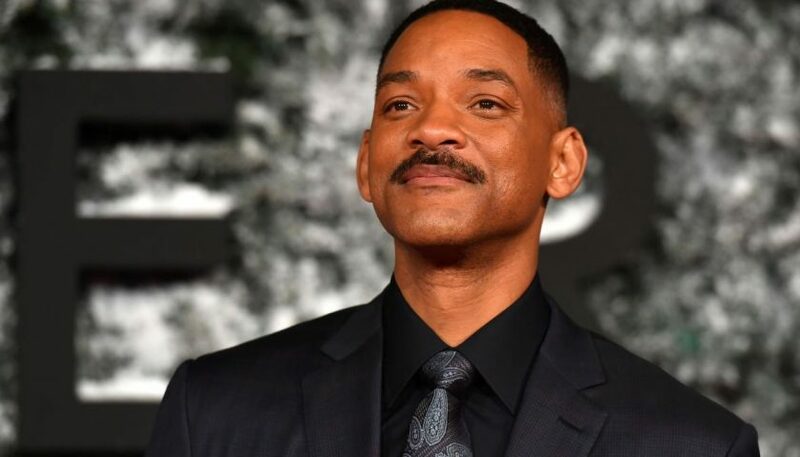 At that event, Smith discussed the shift in his career from a focus on “winning” (circa the high-profile bomb Wild Wild West) to vetting prospective scripts with the question, “How does this improve lives?” Perhaps it’s that metric that has guided Smith into a string of conceptual head-scratchers like Collateral Beauty and Seven Pounds, alongside more mainstream fare like Focus and Suicide Squad. (Best way to improve your life vis-à-vis Suicide Squad: Don’t watch it.) But if Smith hasn’t shown much a proclivity for the high-powered art films that typically make up the Cannes competition—this year’s lineup includes Sofia Coppola’s The Beguiled, Yorgos Lanthimos’ The Killing of a Sacred Deer, Bong Joon-Ho’s Okja, and Todd Haynes’ Wonderstruck—he’s definitely proven that his tastes lie well outside the mainstream. Being a fly on the wall during that jury’s deliberations would probably be at least as fascinating as any movie they’re mulling over.